A view from a walk on Islay highest hill, Beinn Bheigier (491m), in April 2014. Behind the hills in the foreground hides the Sound of Islay, on the other side of it the Isle of Jura. 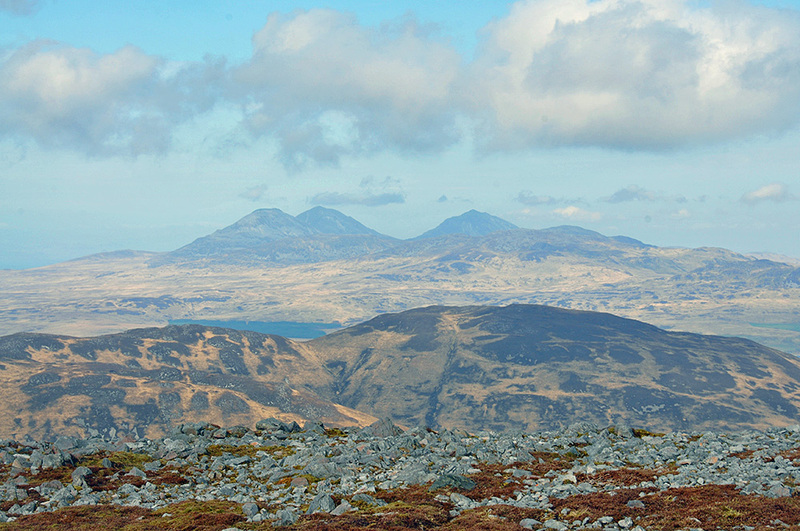 The Paps of Jura tower over the landscape, from left to right Beinn a’Chaolais, Beinn an Oir and Beinn Shiantaidh. This entry was posted in Cloudy Weather, Landscape, New Post, Sunny Weather and tagged Beinn a'Chaolais, Beinn an Oir, Beinn Bheigier, Beinn Shiantaidh, Islay, Jura, Sound of Islay by Armin Grewe. Bookmark the permalink.